In my last post I wrote about great campaign videos for non-profits. 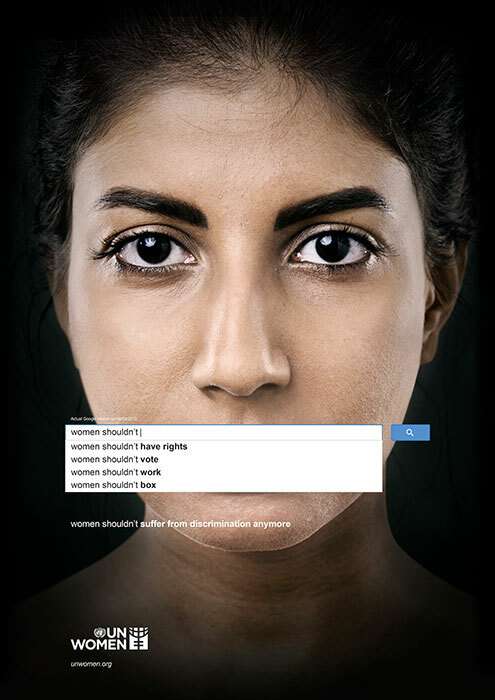 Here’s a great new print ad campaign by UN Women that uses something we’re all familiar with — Google’s autocomplete function — to deliver a powerful message about sexist attitudes that prevail throughout the world. And I mean, throughout the world. 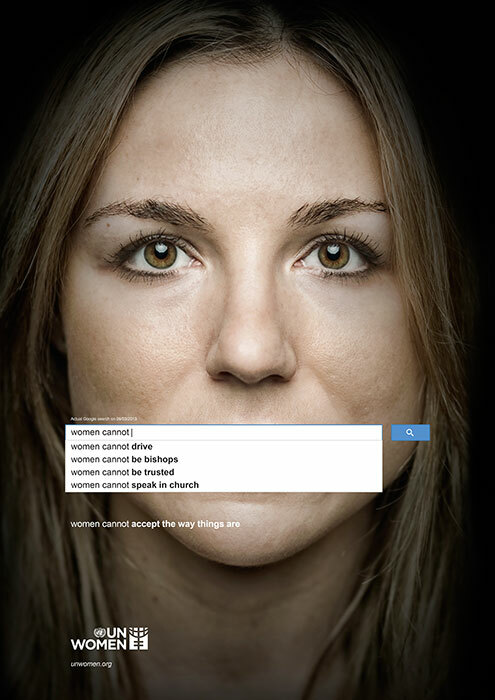 The ads show women’s mouths obscured by Google search fields as a result of Google’s autocomplete function. The autocompletes generated were based on searches dated 9 March, 2013, according to UN Women’s website, but they don’t say from which country the search was conducted. 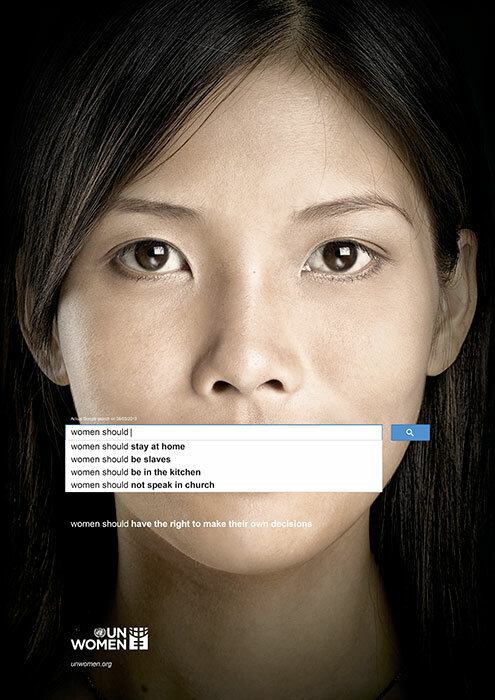 The campaign reminds me of Amnesty International’s original “Stop Violence Against Women” campaign that also used photos of women’s faces with the mouth portion torn out. “When we came across these searches, we were shocked by how negative they were and decided we had to do something with them,” says Christopher Hunt, Art Director of the creative team. 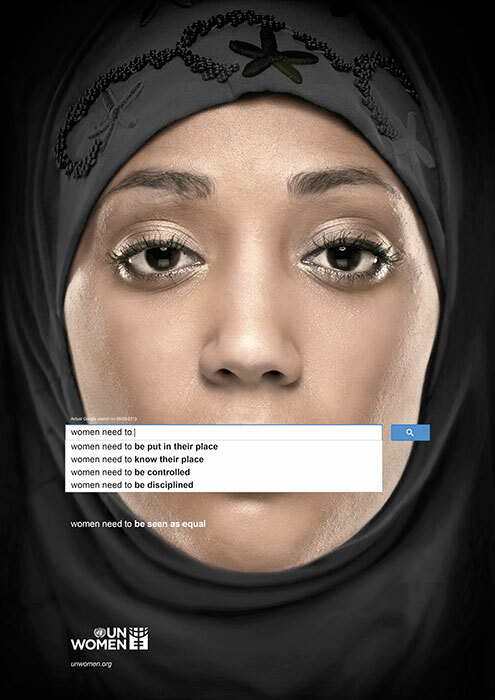 “The ads are shocking because they show just how far we still have to go to achieve gender equality. They are a wake up call, and we hope that the message will travel far,” adds Kareem Shuhaibar, copy writer. What is completely chilling is when you try this at home. For UN Women, the searches confirm the urgent need to continue making the case for women’s rights, empowerment and equality, a cause the organization is pursuing around the world. UN Women is heartened by the initial strong reaction to the ads and hopes they will spark constructive dialogue globally. UN Women — the United Nations Entity for Gender Equality and the Empowerment of Women– was created in July 2010 by the United Nations General Assembly. In doing so, UN Member States took an historic step in accelerating the Organization’s goals on gender equality and the empowerment of women. We all clearly have a long way to go.